On a very rainy September day I arrived at the Buffalo Canoe Club (with my wonderful Second Shooter Vicki) to photograph Shelby and Randy’s special day. It was pouring for most of the morning, but these two dealt with it in their own way, with a little bit of humour! I’m not sure I’ve laughed so much with a Bride and Groom. By the time we were ready to do their First Look (my favourite! Randy’s reaction was priceless!) the rain had miraculously stopped. 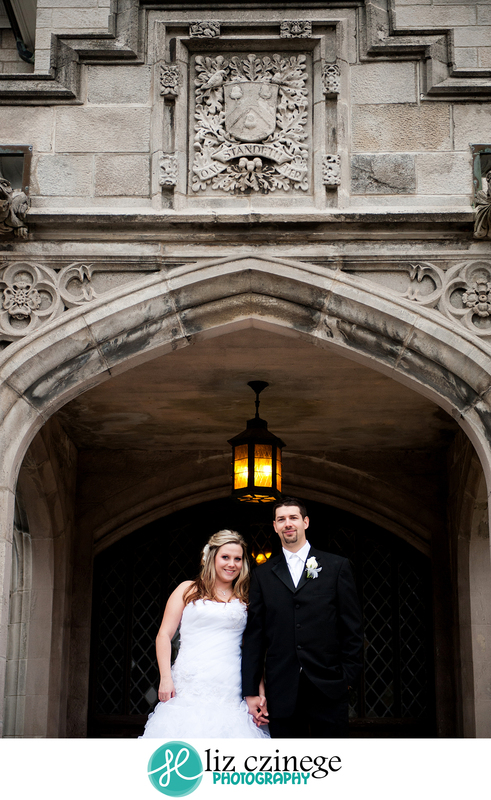 It drizzled a little during the outdoor ceremony and held off during family and wedding party portraits. After all was said and done and the guests were making their way out to the reception it began to pour – a little comical, we all got soaked, but as a photographer I’ll take it! Throughout the entire process; the pre-consultation meeting, engagement portraits, the final scheduling meeting and throughout the day, it became more and more obvious that these two were made for each other. 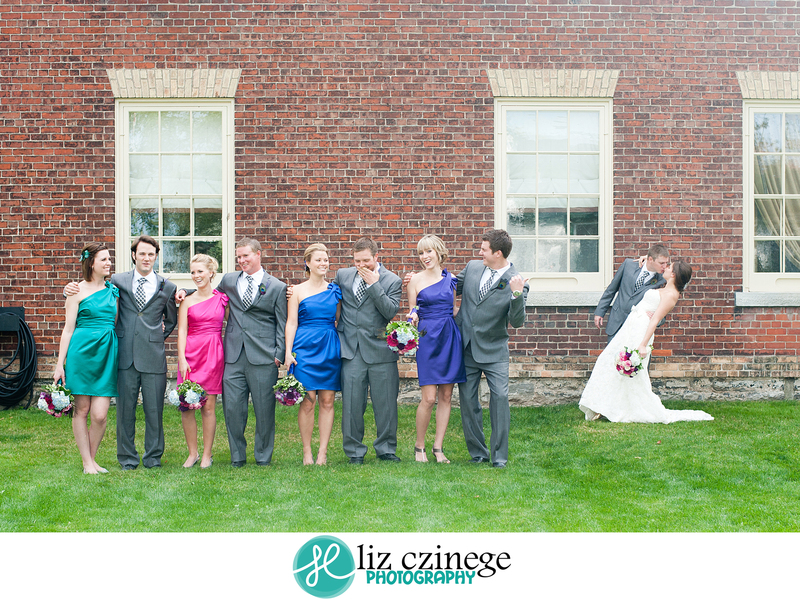 Frequently when photographing the Bride, Groom and their Wedding Party I will say “Now everyone look at the couple.” never once have I had a bride and groom – simultaneously – look down at themselves. They had us all in stitches for the entire day. And I am so thankful that they didn’t let the rain get them down! 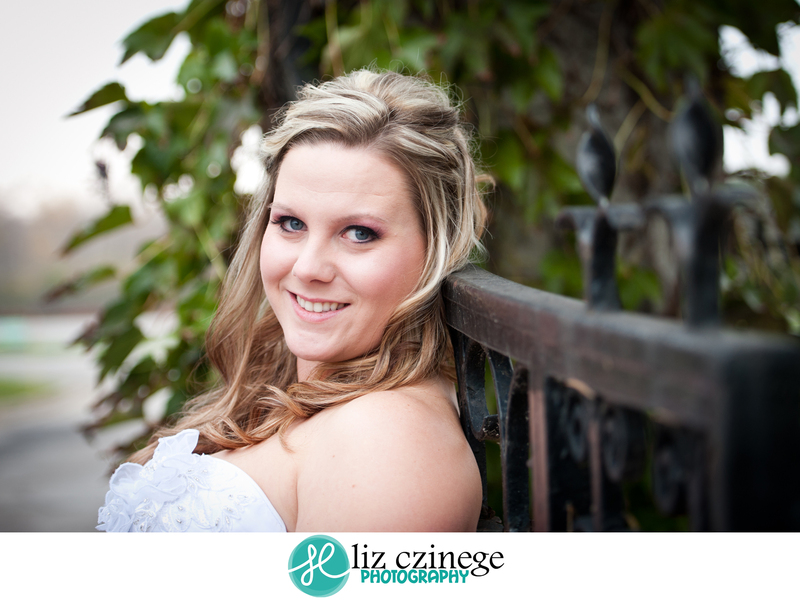 Thank you so much Shelby&Randy for choosing Vicki and I to be part of your day. In a world of many professional, and not so professional photographers, I truly appreciate every Bride and Groom that allows and trusts me to be part of their once in a life time day. Meet Dan and Danielle (Yes, yes, they know! Daniel and Danielle. Ha Ha.) Or as I affectionately like to call them, Dan² (Dan-Squared). Danielle and Dan met exactly two years before their engagement session. Dan was born in Poland. 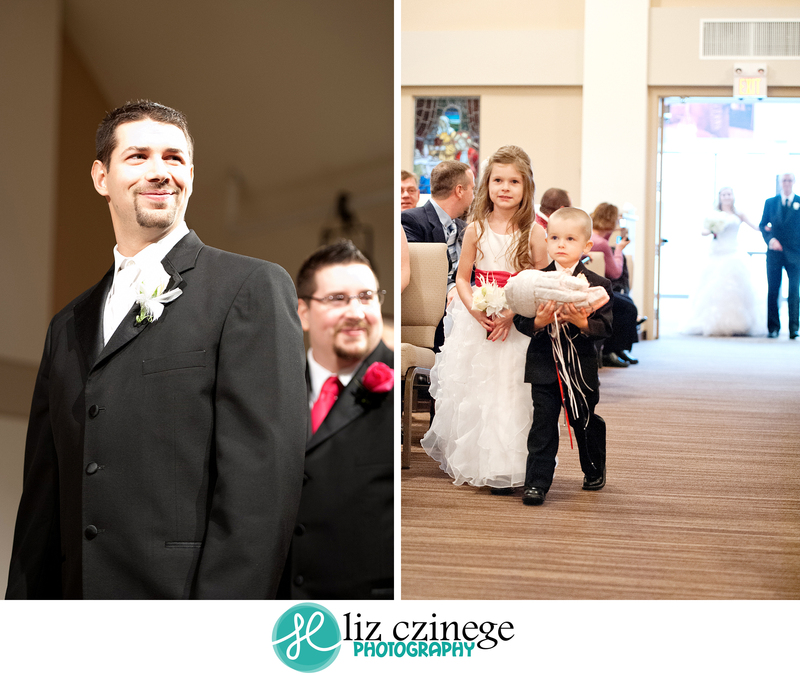 He speaks Polish and plays the accordion – an instant hit with Danielle’s mom. Not to mention he is caring, funny and cleans up after himself, everything you want in a man. (Plus.. wait until you see the ring!) Danielle could not have found anyone more perfect for her. The more time I spend with them, the more I see how perfect they are for each other. I normally don’t share this many images, but I just couldn’t help myself. Dan² started dating around the same time that I start dating Danielle’s brother (where’s my ring?!) I was honoured when they asked me to photograph their wedding and I’m so excited! I’ve gotten to know Dan² over the past few years, but over the last few months I’ve gotten to spend a lot more time with them. We get along really well, mostly because they get my sense of humour. I would be more than happy to one day add these two to my family. How beautiful are their babies going to be – I can’t wait to become an (almost) Aunt again! 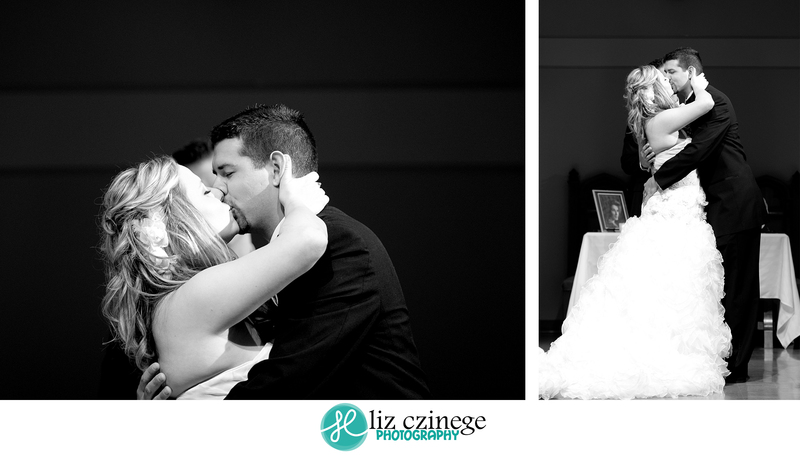 You’ll see these two again when I photograph their October wedding, it’s going to be a fun day! I honestly can not wait to see these two get married! NEW Engagement & Wedding Website! Last year I took down the Wedding & Engagement photography from my website, so I could bring the focus to my Newborn and Child photography. 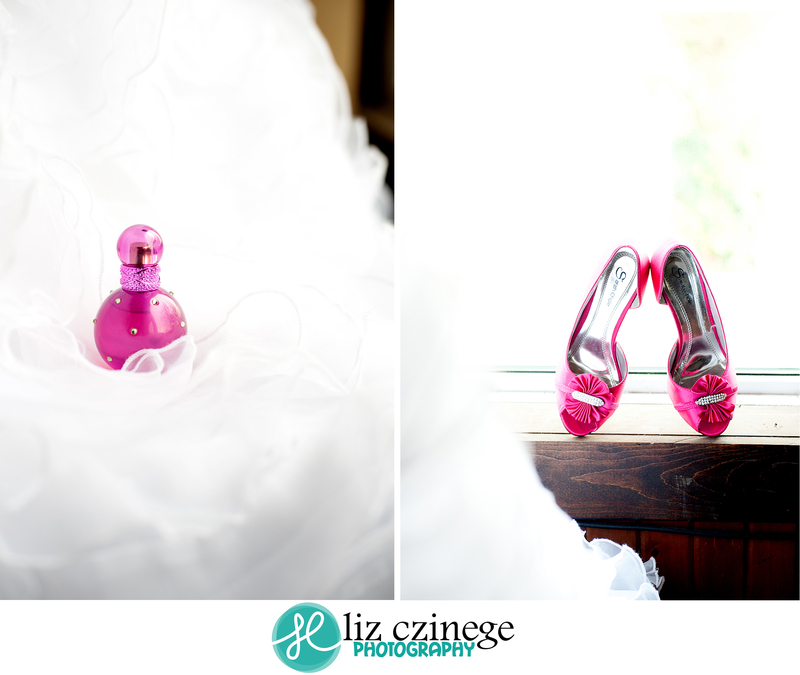 After doing so I kept receiving the same question “Do you photograph weddings?” I am still photographing weddings – and I love it! 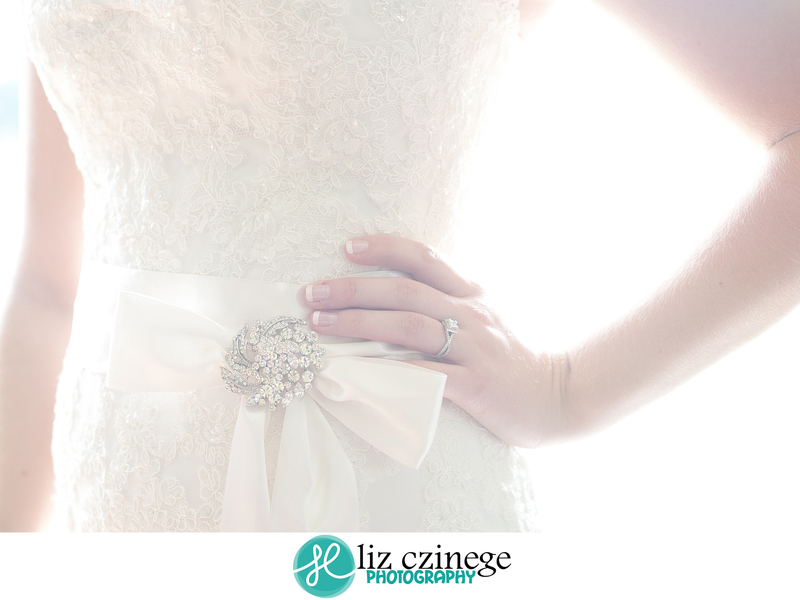 So after much consideration I decided to create a website solely for my Engagement & Wedding photography. This new website has the familiar, easy to navigate format as my original site, so looking though my portfolio is simple. I have also added my 2014 Pricing PDF to the website. This downloadable PDF has information on my packages, pricing and what to expect. I’m looking forward to photographing my 2014 couples and I can’t wait meet the great couples that 2015 has in store! 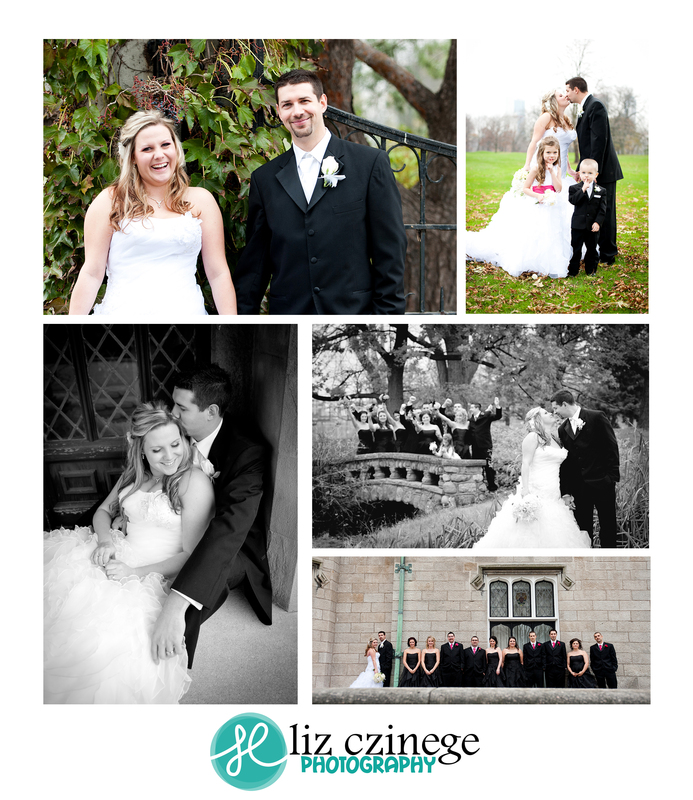 On a mild November day, I photographed Tara&Derek’s wedding with my close friend and fellow photographer Vicki Rivers. I arrived at the Tara’s sisters house in the morning and was greeted by the usual pre-wedding chaos; hair spray flying and Christmas music playing (..in November??!) So escaped upstairs for a few minutes to get some detail shots. 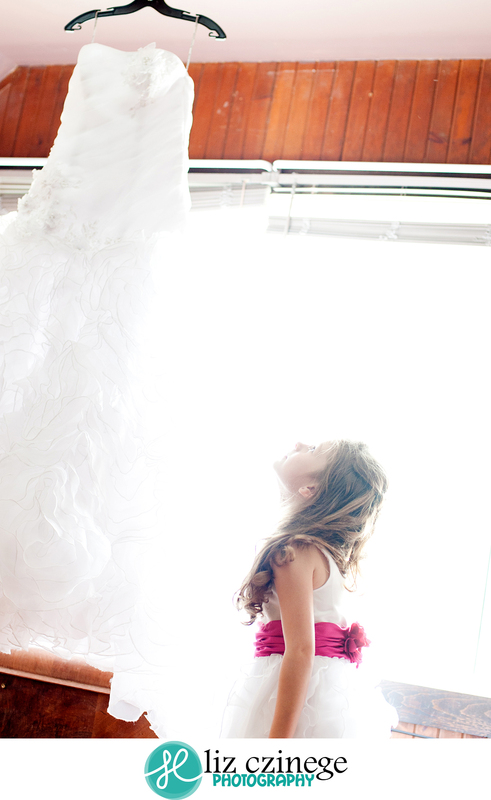 During our pre-wedding consultations Tara asked me to capture this special photo of her niece. Tara’s mother passed away when she was young, and subsequently Tara and her sister, Kelly, grew up very close. It was just the two sisters in the room while she was getting dressed, it was a sweet moment. Kelly’s hands shook while she was doing up her sisters dress, nerves&excitement that you would expect from the mother of the bride. 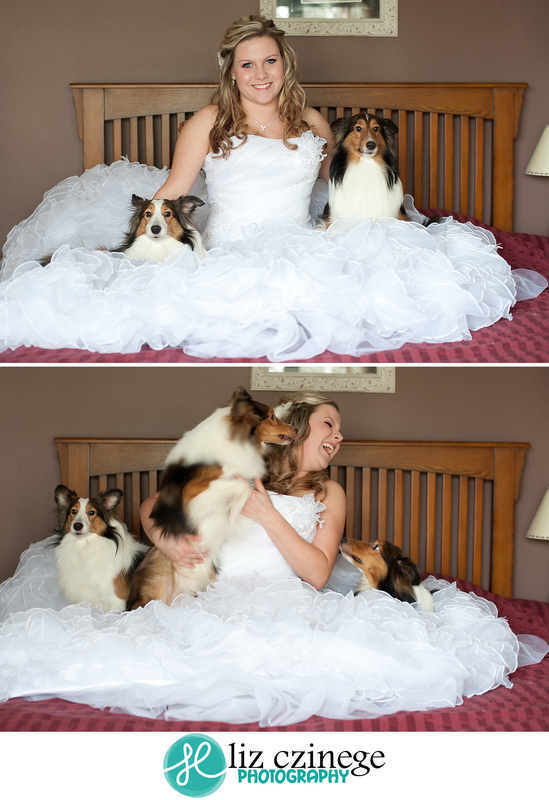 When I met with Tara before the wedding, I could tell how much she loved her three beautiful Sheltie’s. She brought the dogs to her sisters house so I could capture a few photos of her babies on her wedding day. A lot of Brides I’ve photographed worry about their dress getting dirty or ripped throughout the day, but not Tara, she let her dogs to sit on her dress – what a trooper! 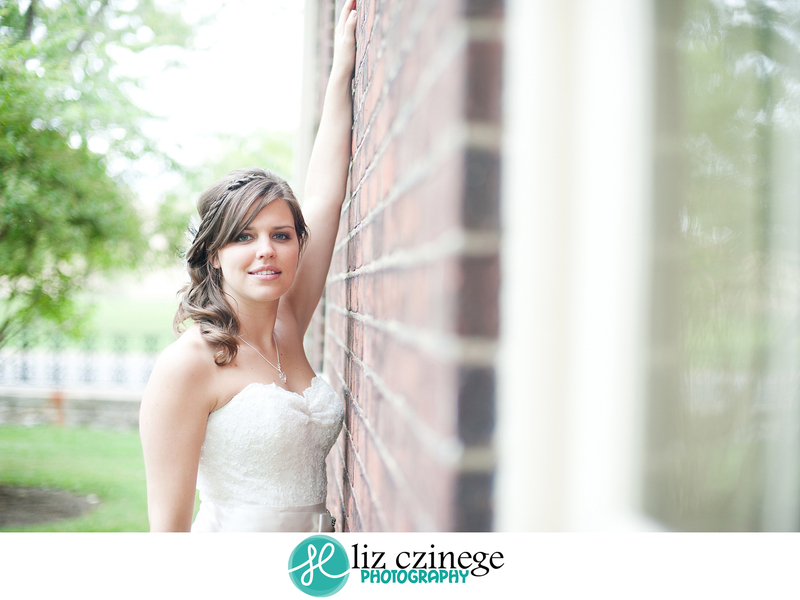 After photographing the guys in the morning, Vicki met up with me at the church. 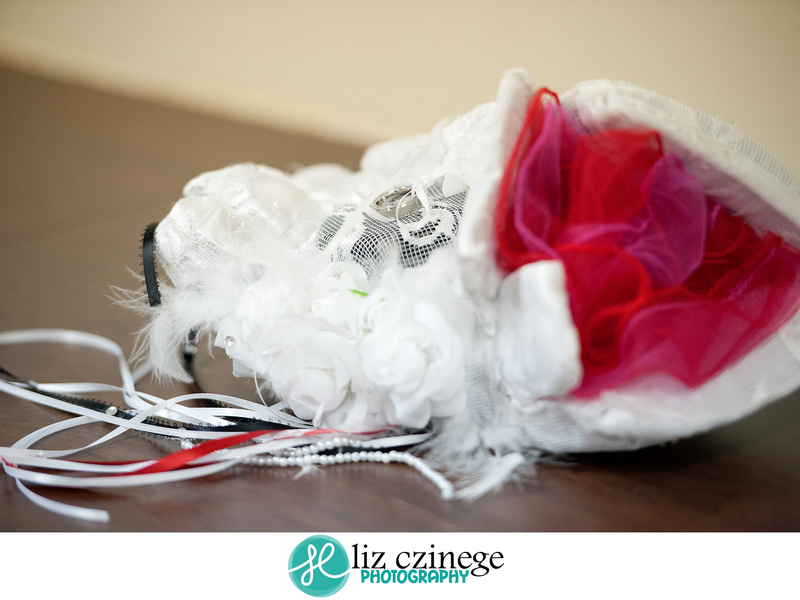 While waiting at the church Tara told us about how much Derek loves hockey and her surprise for him – a hockey glove, instead of a pillow, for the ring barrier to walk up the aisle with! Throughout the day Tara&Derek had photos and little reminders of their relatives who had passed away so they could be there in spirit to share the day. 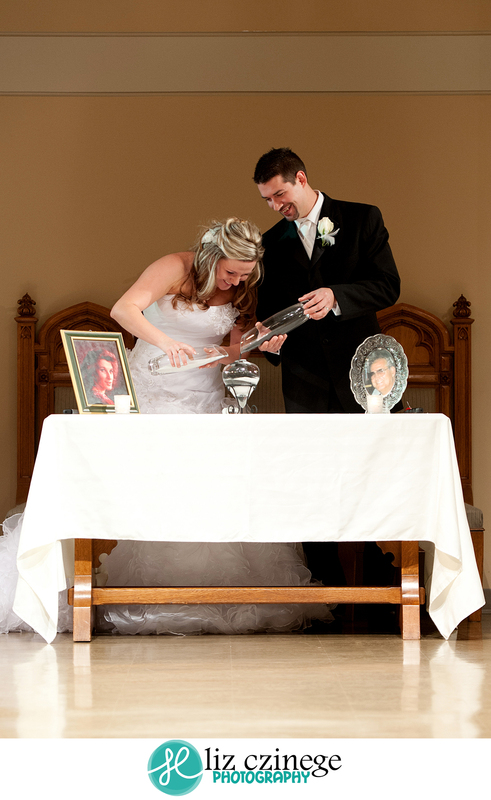 After much laughing – and spilt sand – Tara&Derek’s unity sand was complete. 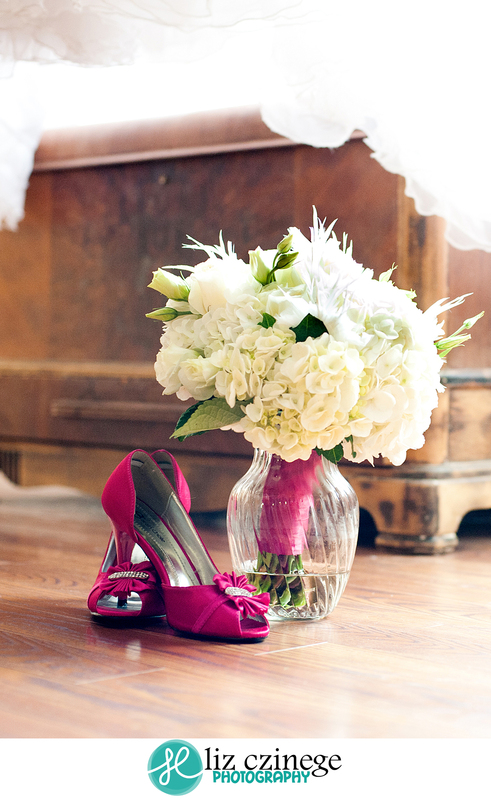 It’s a very special day for the Bride&Groom and often times they don’t have any alone time. Throughout the day I like to give the Bride&Groom a little time to relax, talk to each other and just enjoy the moment. This also gives me the opportunity to capture some completely natural shots like these two. I wish Tara&Derek all the best with many years of happiness. 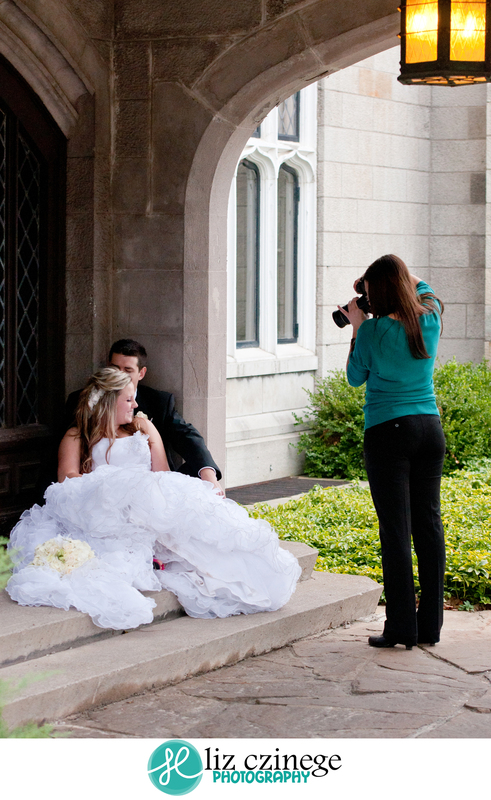 View some Behind the Scenes images from Tara&Derek’s wedding! Last spring I had a lot of fun taking Kerri&Ryan’s engagement photos at Point Abino. 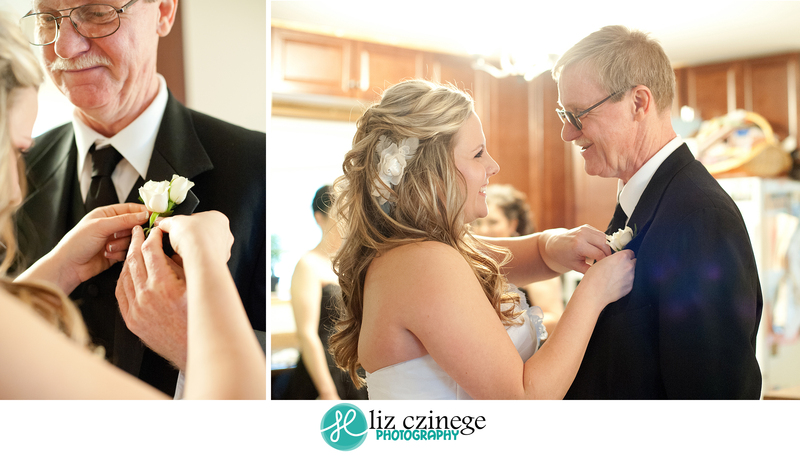 As we talked about their wedding plans, I grew even more excited to capture their wedding. 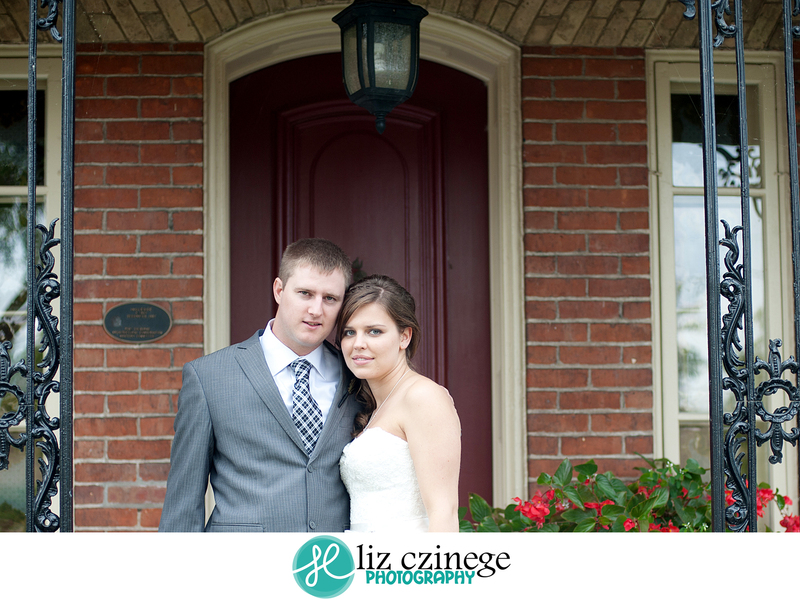 It was a beautiful, warm September day when I arrived at the Bride’s house. Kerri chose to have two of her four younger sisters to help her dressed. 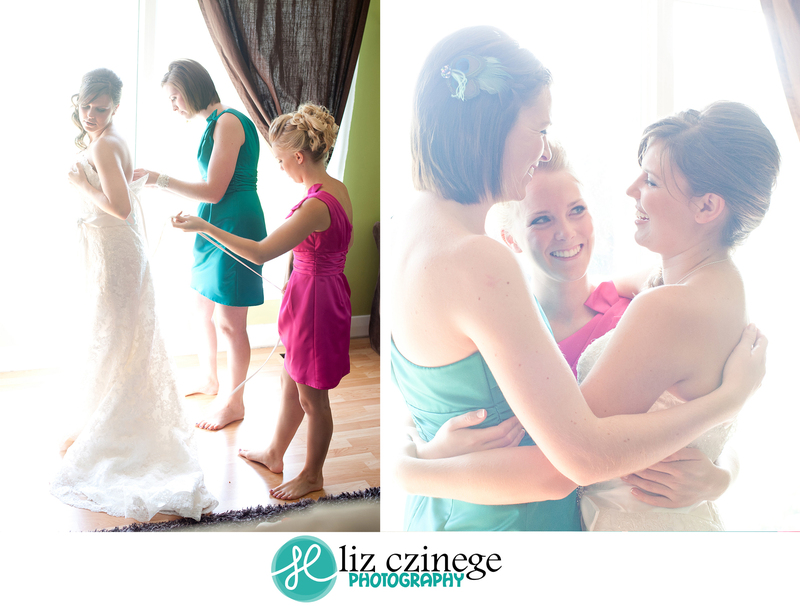 Even with the chaos that comes with eight girls getting ready, it proved to be an intimate moment for the three sisters. A moment that they had imagined and rehearsed countless times growing up. Before the ceremony we stopped at HH Knoll Park to take some photos of the beautiful Dyson family. Each bridesmaid wore a different colour dress with a matching hairpiece and ribbon on their bouquet. This was such a great idea, as it made for unique photos! The ceremony took place in Kerri’s childhood church. 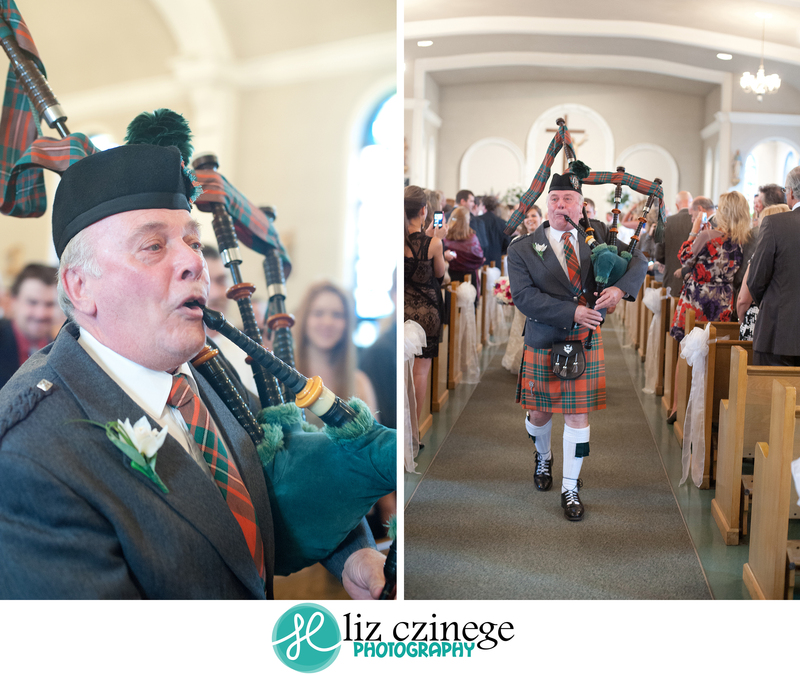 After the “I do’s” were exchanged, Kerri’s Grandad bagpiped the newlyweds out of the church – it was a very special moment! 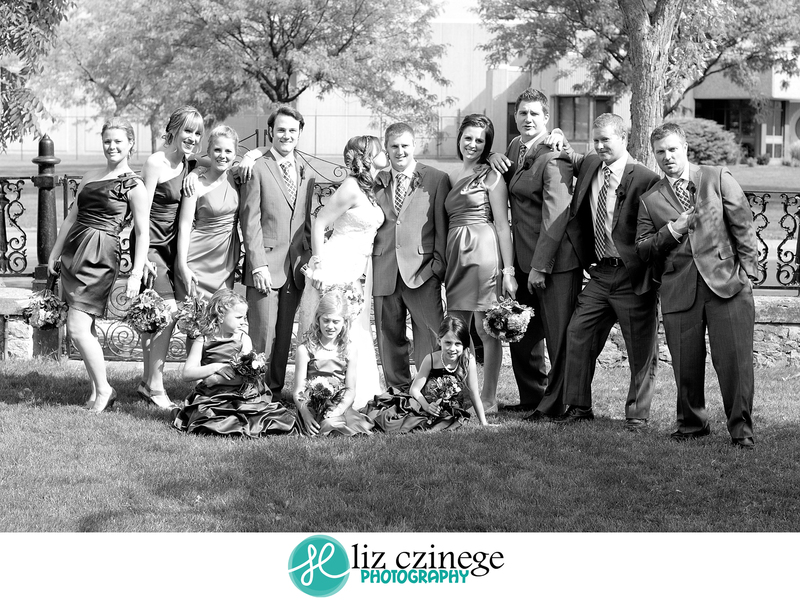 I had a lot of fun with this wedding party – they were great fun! Photographing my best friend’s sister was a great experience, but on top of that I got the opportunity to see (and photograph!) inside of a house I’ve always been curious about. As a photographer, I am always thinking to myself “I’d love to photograph there.” Sometimes your dreams come true, and I couldn’t think of a better location to photograph Kerri&Ryan! I had some fun with this shot, I’m so in love with historic houses! 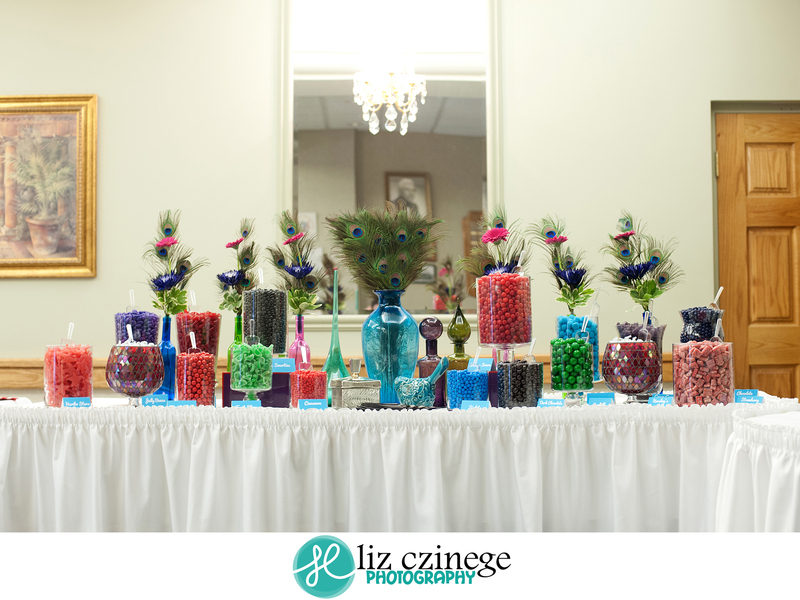 Candy by Katie supplied the candy and decorated the table at the reception. 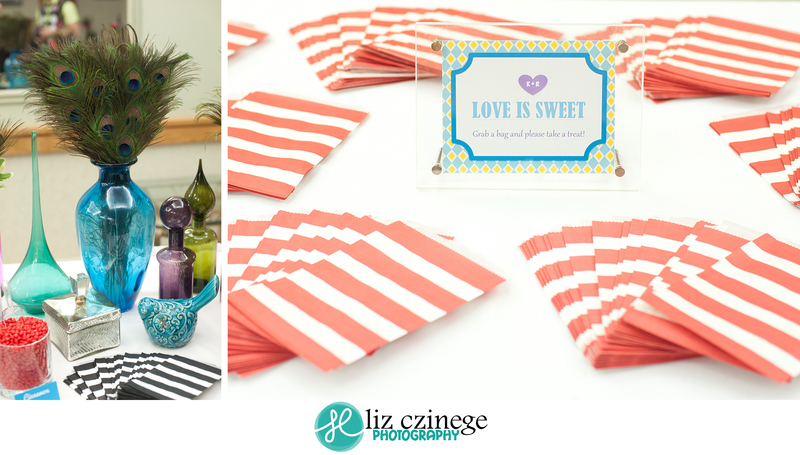 Of course it was a huge hit, when you’re presented with a table filled with candy you can’t help but let your inner child loose! There was a little something for everyone. 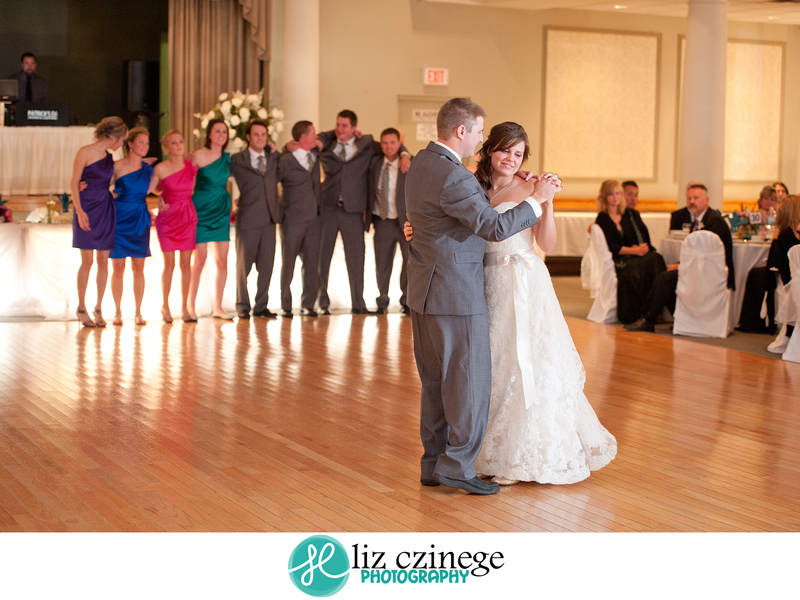 I love the wedding party in the background of the first dance. For me, and I’m sure for many of the guests, this was one of the most memorable moments of the day. When Kerri invited her sisters to join her for the Father Daughter dance I don’t think that there was a dry eye in the room. 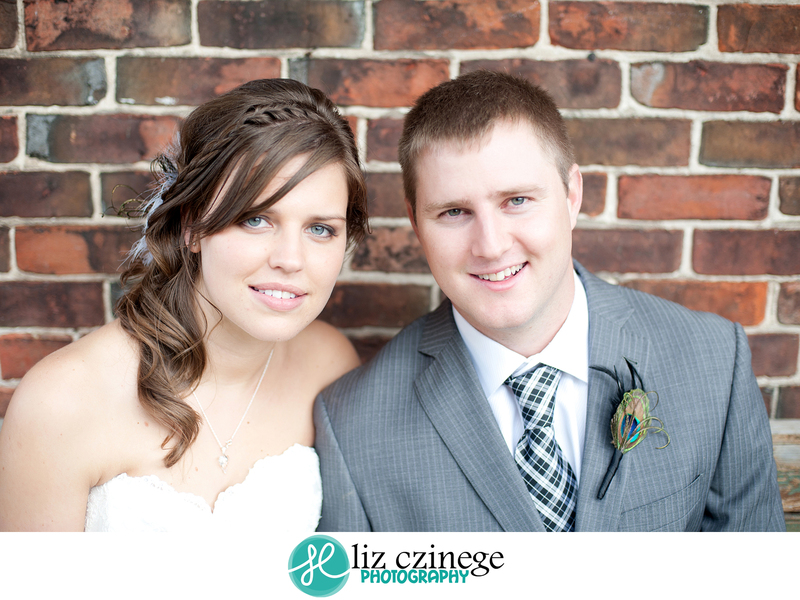 In November I had the pleasure of photographing Tara&Derek’s wedding with my good friend Vicki Rivers. Throughout the day she snapped a few photos of me, so I thought I would share! Any photographer knows, when it comes to weddings we’re not just a photographer, we’re the boutonniere pinner, the dress carrier, the make-up fixer and the crisis adverter if need be! 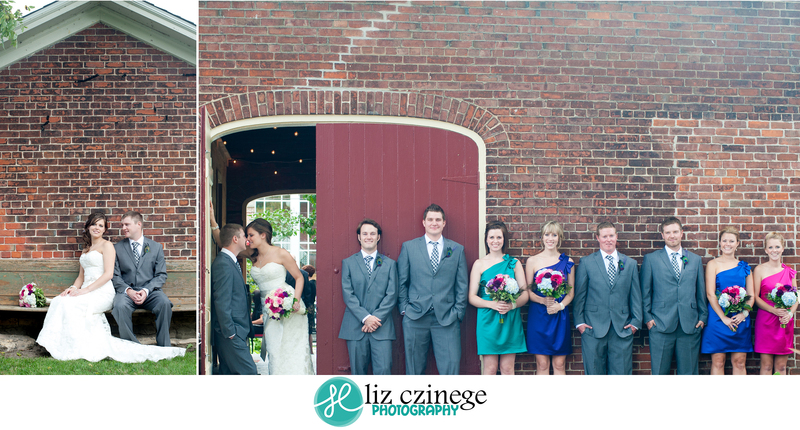 This couple was so adorable, I couldn’t help but smile while taking their photos! They’re so in love! Breaking the rules in the name of a great photo. When it comes to my photographs I try not to pick favourites, but this one turned out to be a favourite from the day.. shhh! 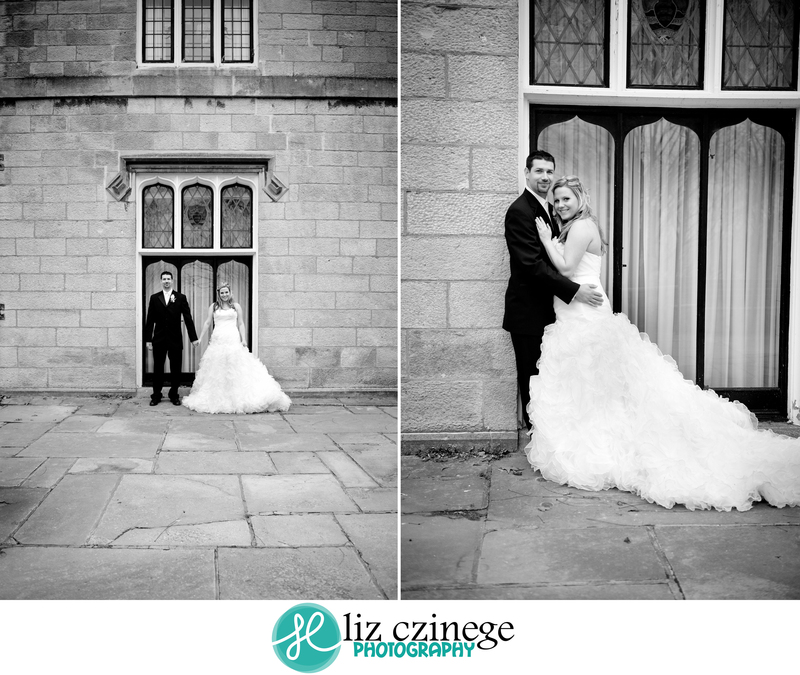 Here are the photos I was taking, I look forward to sharing Tara&Derek’s story with you very soon!